Portrait commissions are a great way to see a character come to life, honor a beloved pet, or give a unique gift. My specialties are wildlife and fantastic creatures, but I also enjoy challenging myself with new material. Pricing varies with style and complexity. Art that cannot be paid through Paypal will be considered on a case-by-case basis. 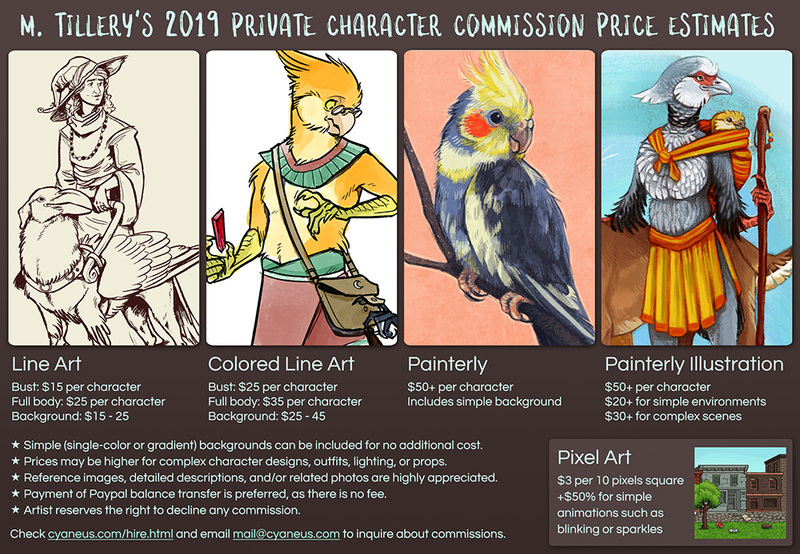 Commissions are currently unavailable until June 2019. 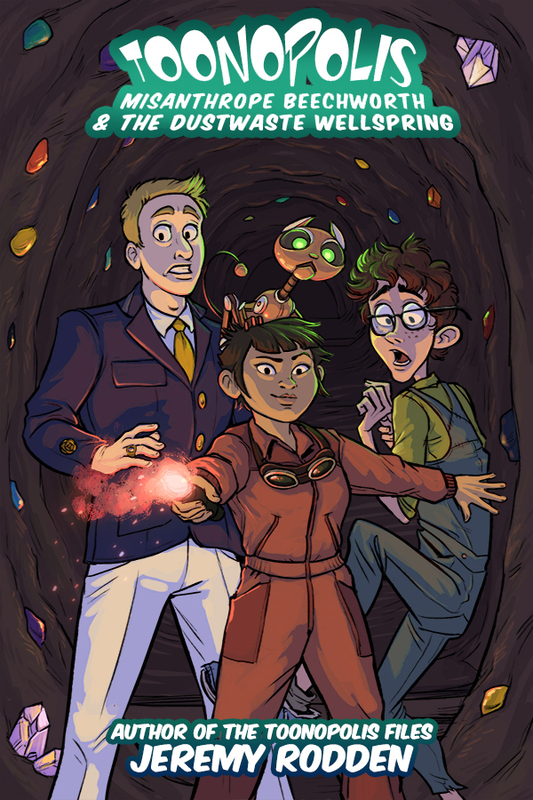 Please email (mail at cyaneus dot com) with "Commission Inquiry" in the subject line if you are interested in a portrait commission starting in June or later. 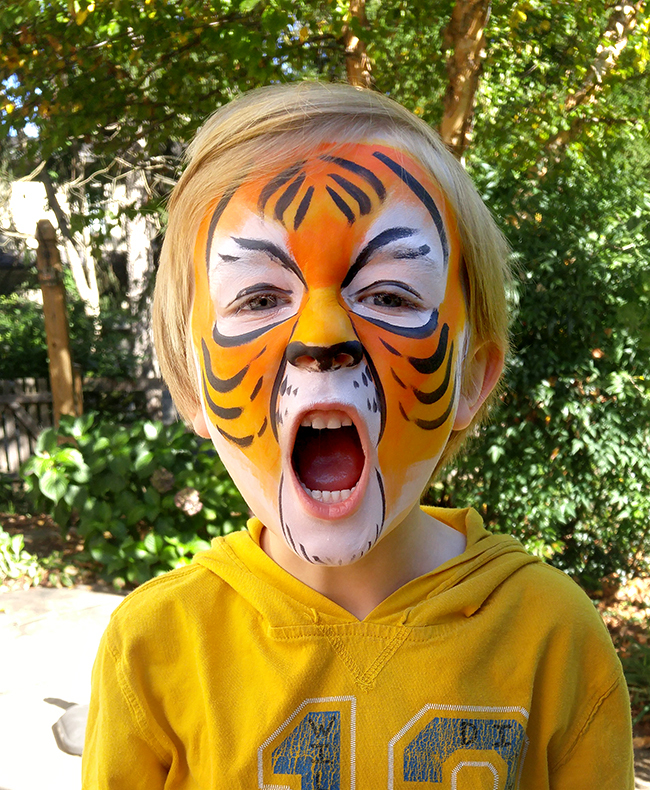 I'm available to face paint at festivals or parties in the Baltimore county/central Maryland area. 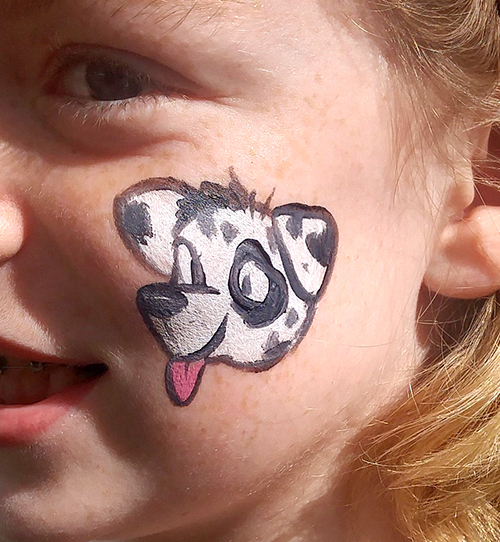 I use Snazaroo and Ruby Red face paints, which are hypoallergenic, vegan, and easy to wash off. Pricing and contract information coming soon to this page! 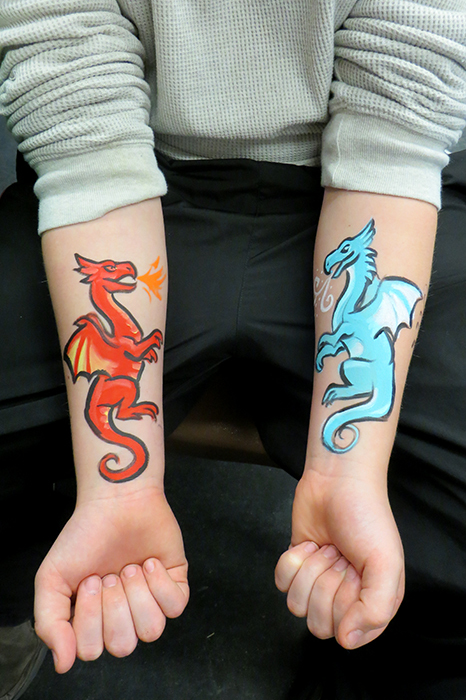 Please send me an email (mail at cyaneus dot com) if you are interested in booking me as a face painter for your event. Contract information forthcoming! If you're inquiring on behalf of an organization or publication, please send me an email (mail at cyaneus dot com). Cyaneus.com is © 2019 M. Tillery. All rights reserved.